3 in 1 Mobile Screed Factory – Throughout YORKSHIRE! Delivers the screed to exactly where you need. Our approved screeders will install the screed. 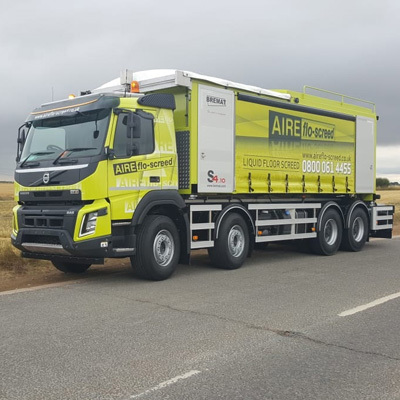 We also supply concrete via our sister company AIRE concrete. 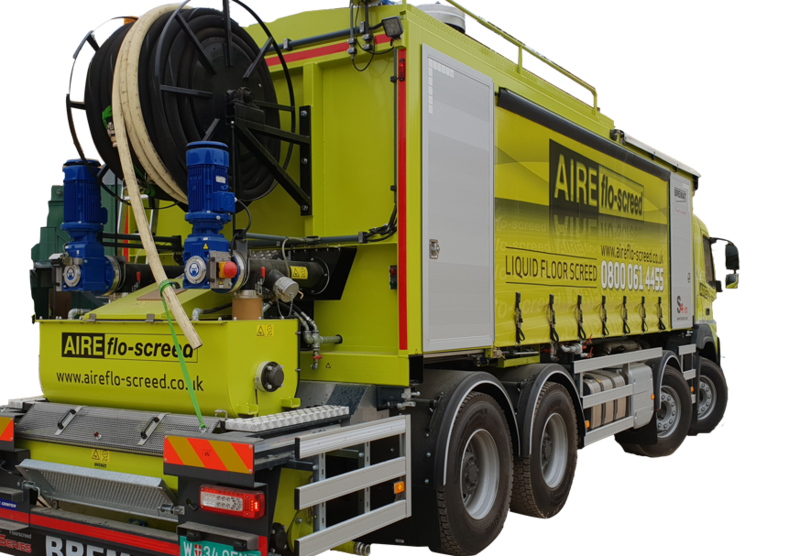 State of the art mobile screed factory that mixes and pumps all in one unit. 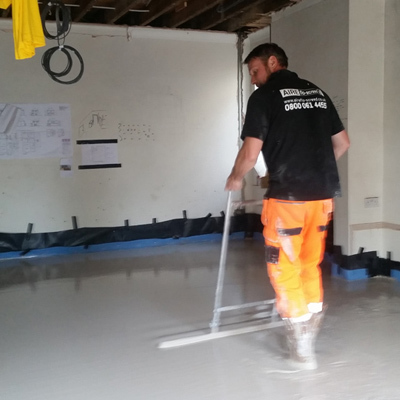 Anhydrite self-levelling, self-compacting flowing floor screed. Never under or over order again. 150m reach with the pump line. From 1m3 to 12m3 in one load. No Wastage, so very environmentally friendly. No Site hold up’s, you can walk on it in 48 hours. Installed by trained and approved installers. Highly resistant to cracking and curling. Minimal thermal lag for under floor heating. Can be used in all construction types. 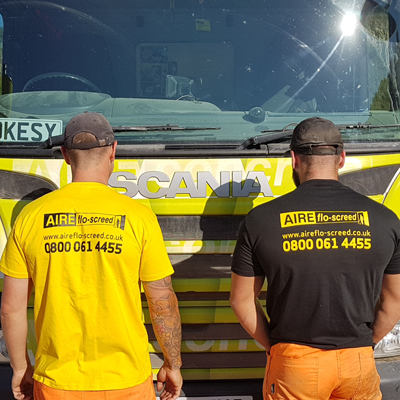 Used Aire Concrete today for the first time, They arrived when they said they were coming and did a fantastic job when they got here. From first contact on the phone to paying when the job was done these guys have got excellent customer service. Thanks from North Star Tyres. Every mix is fresh and quality checked. Never under or over order again! No more standing time charges waiting for drum mixers. Delivers the screed to exactly where you need. 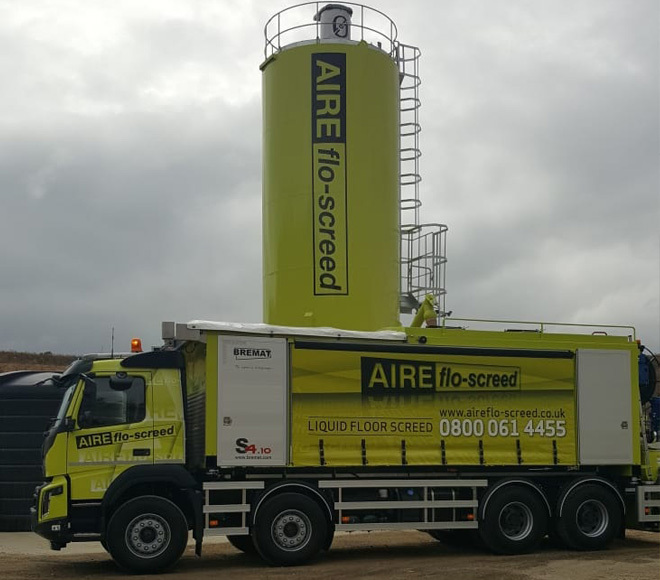 AIREflo-screed | 0800 2346656 | Yorkshire Screed Supplier | AIREflo-Screed is a trading name of Roydale Ltd. registered company number 4244335.